However, when I took on the task of trying to design my own site, I found the undertaking to be huge. I spoke with a lot of people and read a lot of blogs and I came to a choice of two; Squarespace and WordPress (I did toy with the idea of Drupal as well but I found this to be far too elusive and complex for a non-designer). I did a lot of research into Squarespace and there’s a lot I like about it. It allows for some good WYSIWYG design (allowing your to drag-and-drop your design and see it how it looks as you work) and it is very simple to grasp conceptually. You can purchase your domain, pick the type of functions you want with tiered plans and even get your hosting there. Everything is centralized with beautiful analytics, site design and a great content management system (CMS). But Squarespace wasn’t the choice for me; it wasn’t a safe bet for me in case the Ask Adam League were to go very large and I wanted to migrate it to a custom built CMS. Although nothing was really centralized with WordPress, as a lot of it’s functions come with third-party plug-ins, it was very malable and portable if I needed it to be and therefore was the choice. And this is where my mistake began. I purchased the Ask Adam League with DreamHost (a very fine hosting service and drop me a line if you wish to go with them, I’ll get a discount :-)) and installed WordPress on my server. WordPress is great since you can build off of third-party themes and customize them with your own. (this site is designed by WordPress but it might look very different depending on when you read this post :-)). So I picked a theme and went to work with my limited knowledge of site design language (a good amount of HTML, some CSS and absolutely no Java or PHP). I spent a very long time trudging through the design of the Ask Adam League ripping apart the code and replacing it with other code. I did everything non-destructively for the most part to ensure that I could always backtrack if I needed to. But the process was slow. Even though I was armed with books and design websites I couldn’t figure out how to move certain things on the page. Making text different colors and sizes was easy, but layout was a whole other issue. And you can forget about creating a functioning log-in system. After spending a huge amount of time ‘building’ the site, I came across a longtime acquaintance. How strange it was the I met Zoe who designs websites for a living and works primarily in WordPress! With embarrassment, I showed him the site. In short after several discussions and directions on my part as to what I wanted and needed, I was sent a Photoshop file of the newly designed site; it one single day of design and it looked fantastic! Three days later the site was up and running in beta test and was for the most part fully functioning with a log-in system, forum, blog and a page for posting the podcast. What I learned from this experience is what I’ve been telling my video clients and peers for years, “Pay someone and pay them well for work you need to get done”. I didn’t follow my own advice and tried to save money thinking I could do everything myself. Not only did everything get done quickly with Zoe’s help, it functioned better than I could have made it myself in years of work. Zoe also showed me other functionality that would serve me better than I realized. A professional can go a long way into advising as well. My recommendations for those who want to design a website and don’t know much about design? Hire a professional, they are well worth the money. Also, come to the table with very clear ideas about what you would like (a shared document on GoogleDocs goes a long way). Also, ask questions and be open to advisement. A good professional designer knows what may be best for your project and can give invaluable advice; they have been doing this longer than you of course and with several other clients. And finally, pay them for what their time is worth. If you want to go cheap with a designer and negotiate for lower pay (or worse yet get a nephew to design your project) then you wont be dealing with someone who is fully dedicated to your cause. There is the option of ‘partnering’ with someone so they will do work for themselves with partial ownership of the venture, but really, you should use this tactic only if it is genuine and use it sparingly. Now for the plug. Zoe is a fantastic web designer and graphic designer as well. He works fast, gives good advice and his sense of design is keen. 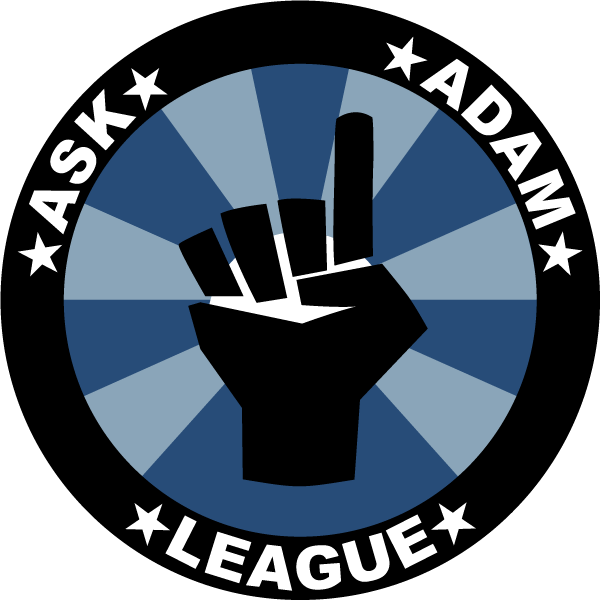 He was also very instrumental in designing some great functionality into the Ask Adam League. Everything you can ask in a good designer. You can find him at beingzoe. But whoever you decide to go with take a look at their portfolio, spend a bit of time asking about their work flow, and make sure you pay them accordingly. Your time is far too valuable to try and learn something quickly that others have spent an entire career with. you raise a great point: let the experts do it! they’re experts for a reason, they know so many things you dont and can get more done in a shorter time. web design may seem easy but users will immediately pick up if your site is designed right, so better be safe than sorry and call in a seasoned web designer! That’s going to make thngis a lot easier from here on out. If my problem was a Death Star, this acritle is a photon torpedo. I run my own Vancouver Web Design Company and I wish my potential clients would read this article.